The tranquil sapphire blue waters (non monsoon season) of the Indian Ocean have a perfect average temperature of 27 degrees. Diving and snorkeling are popular as coral reeves encircle the island. Many spectacular fish species can be encountered. in groups, Barracuda, Man trays, Stingrays, Sharks and five species of Turtle. 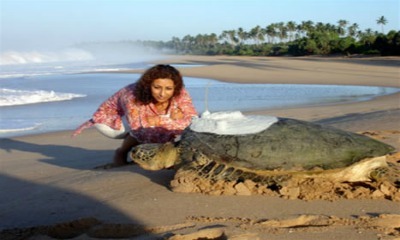 The conservations of turtles are taking place in several places of the beach but the famous of all other places are Rekawa and Kosgoda Conservation centers.